As we find our minds filled with the reckless psychic effluvia of generations of consumerism and technical trickery, minds break down under the burden. In an effort to release the excesses and construct an unadulterated vision we welcome artists and observers to ease the pain…. 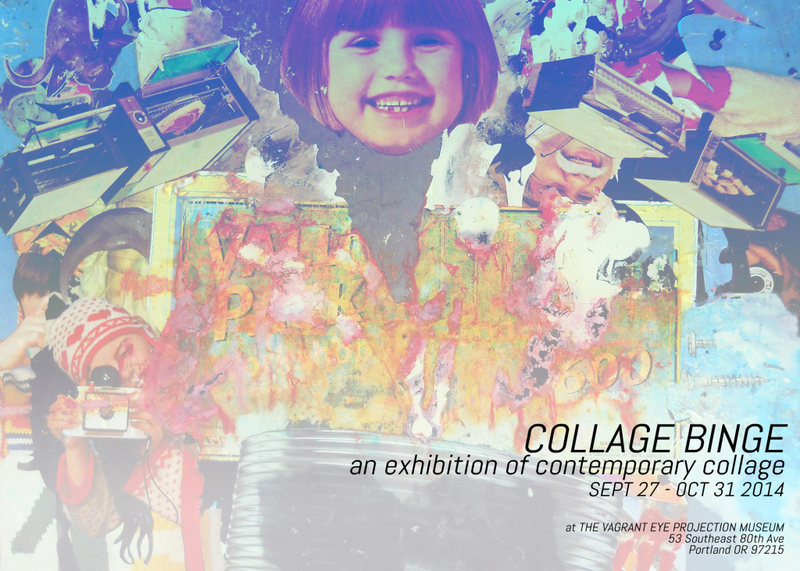 through the ritual of Collage Binge.